you need to even the odds a little! 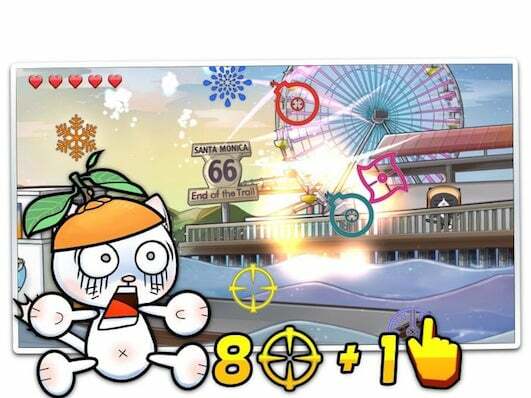 To truly experience the world of Cat Crisis, engage in multi-player mode, where up to 9 players (8 controllers + 1 finger swipe or Siri Remote) can play together at the same time by connecting their iPhone, iPad, and iPod touch to the console over Wi-Fi/BT at any time during game play. When the enemies have 9 lives, we tried to even the odds a little for mankind! 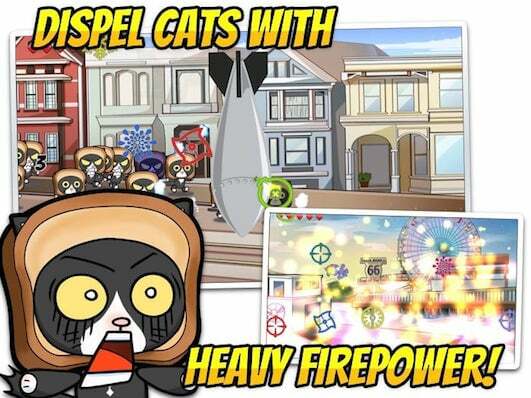 Watch as popular cat memes such as Fruit Helmet Cat, Bread Cat, Tank Cat and many more come to life in this action packed game! When the standard weapons aren’t enough to fend off the advancing feline army, try upgrading to one of the more powerful weapons. With diverse options ranging from the Cutlass to tossing fireballs, we are certain you will find a weapon pack that fits your style. Of course, launching a battlefield clearing WMD when the going gets tough is always a viable option! Have an Apple Watch? Congratulations on your acquisition as you just increased your odds of victory! 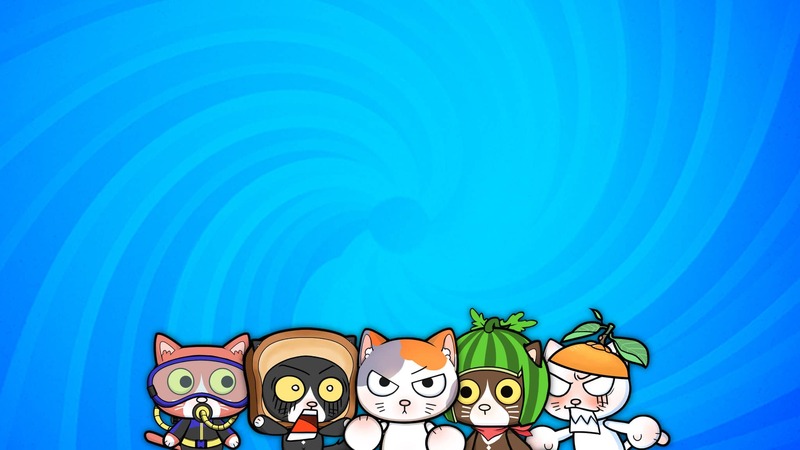 Players can activate exclusive features in-game with Apple Watch. Play solo via Finger Blade mode on compatible iPhone, iPad or iPod touch models. 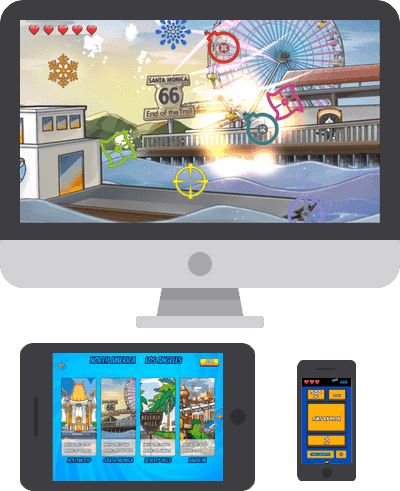 Or use a compatible iPhone or iPod touch as controller and connect to iPad, Mac, or Apple TV as console and unleash the full potential of your arsenal! 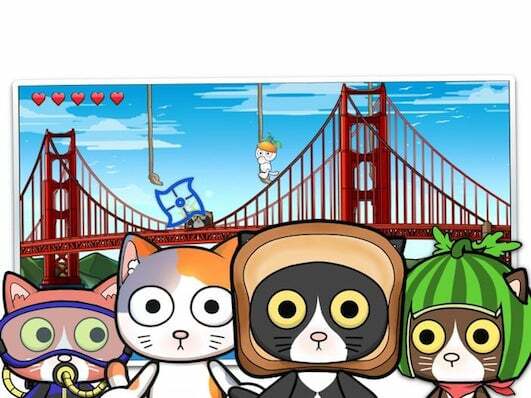 Play together over Wi-Fi or Bluetooth and save the world from evil mutated cats.